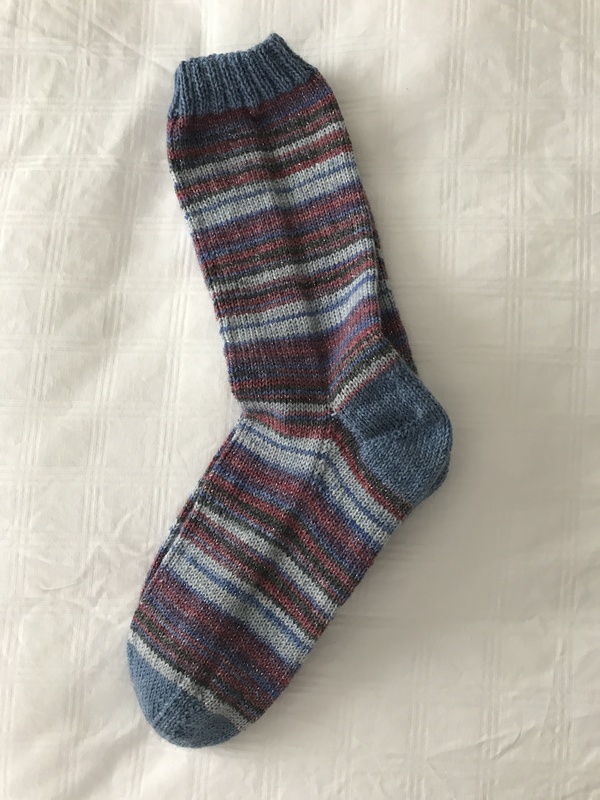 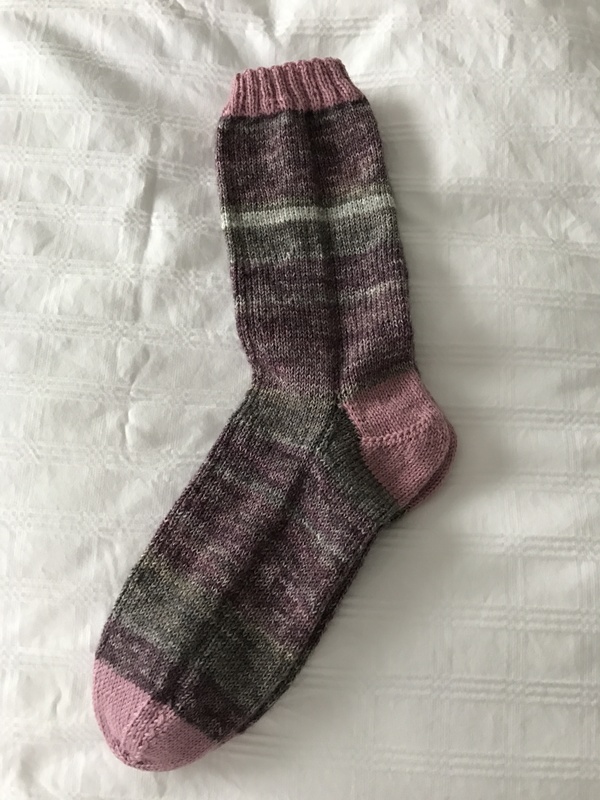 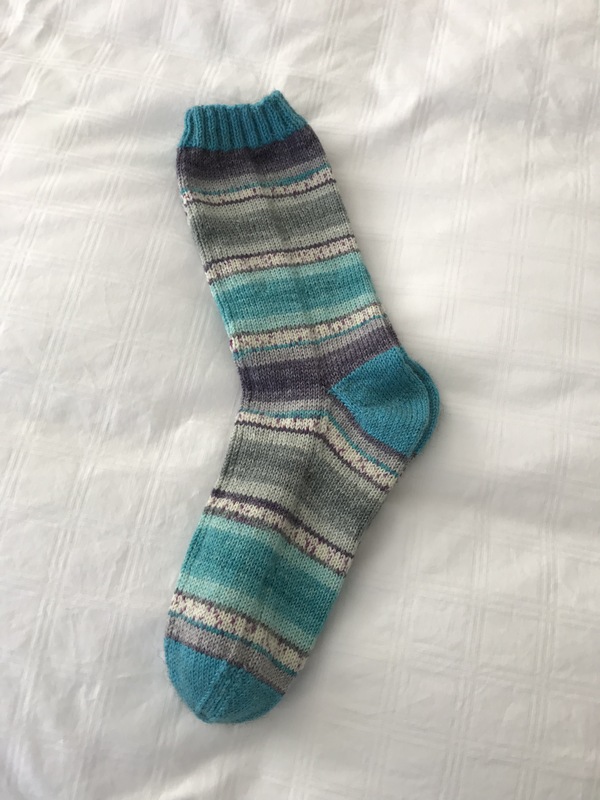 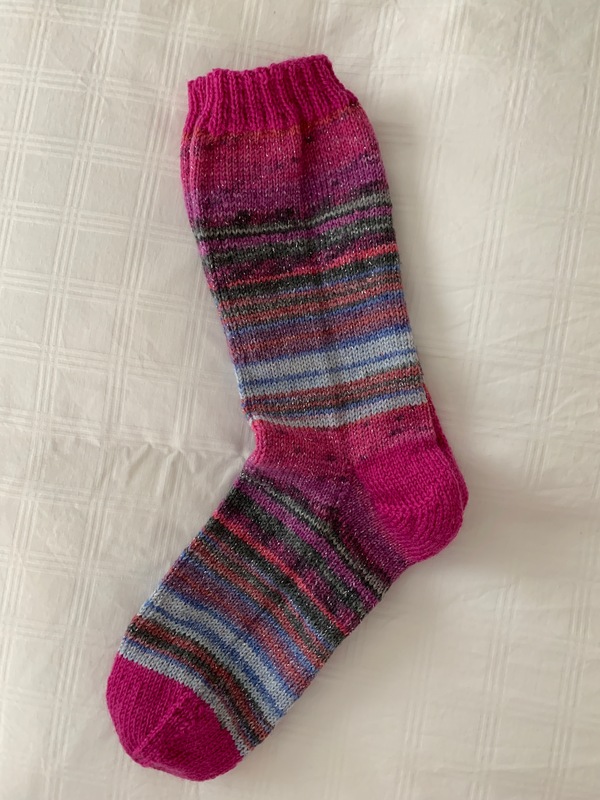 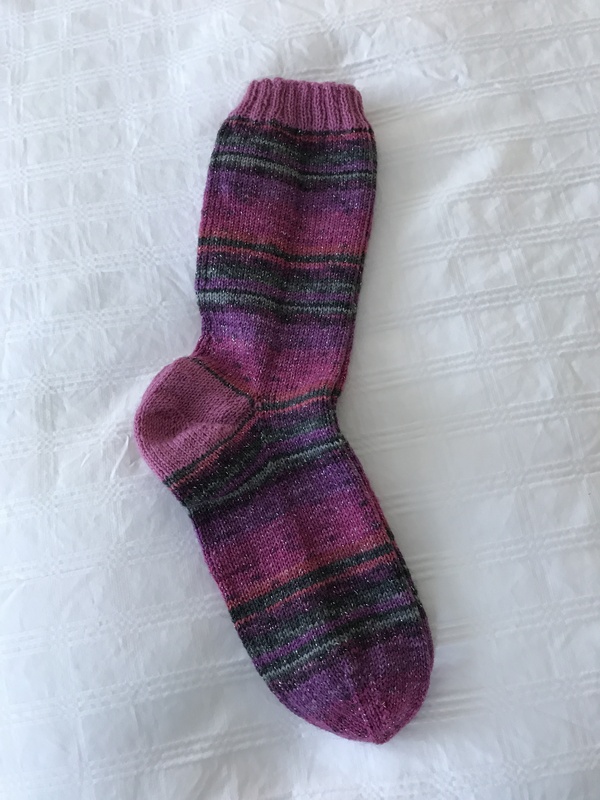 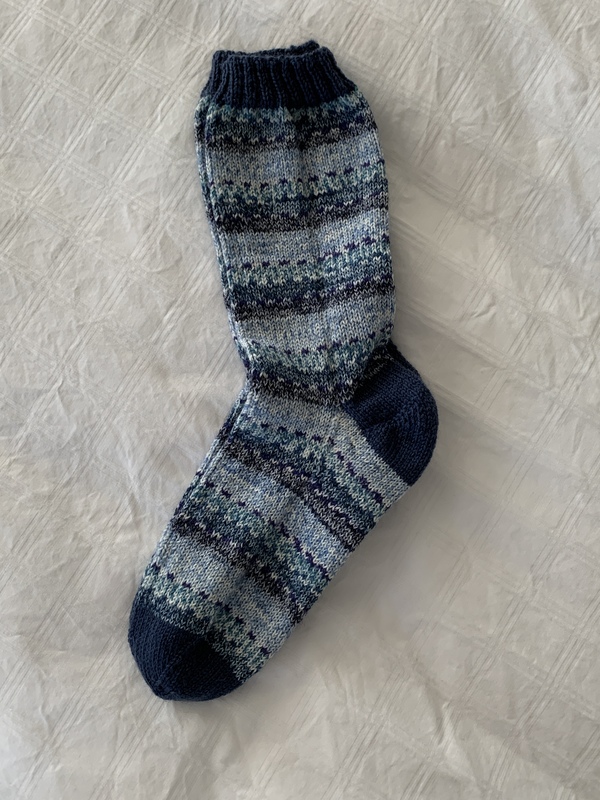 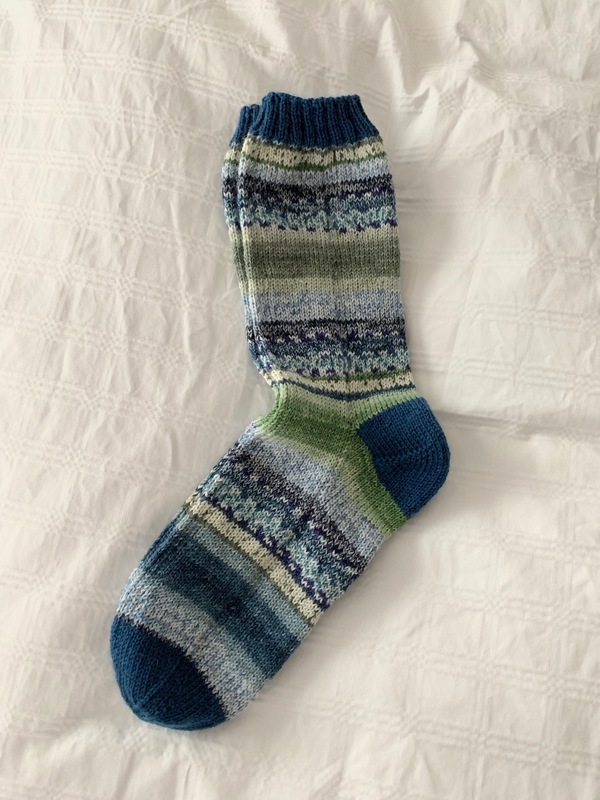 Another pair of socks from leftover yarn. 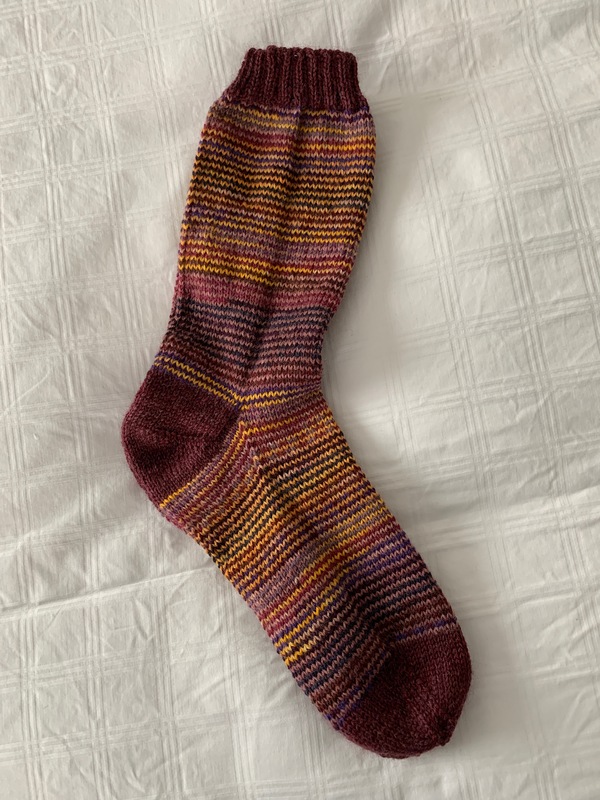 Finished last evening. 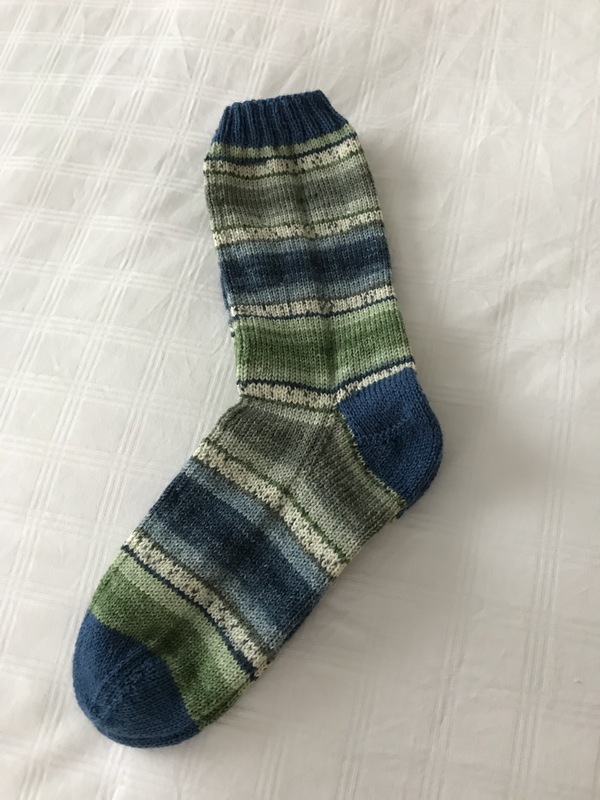 I unrolled the yarn, counting the number of repeats; divided the yarn in half and started knitting trying to judge just how far the variegated yarn would go. 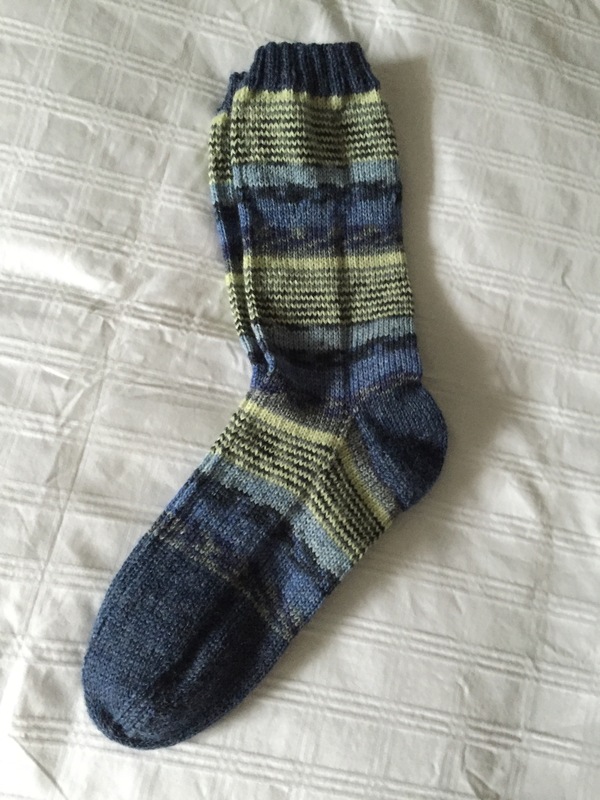 I interspersed a soft green solid at the beginning of each repeat. 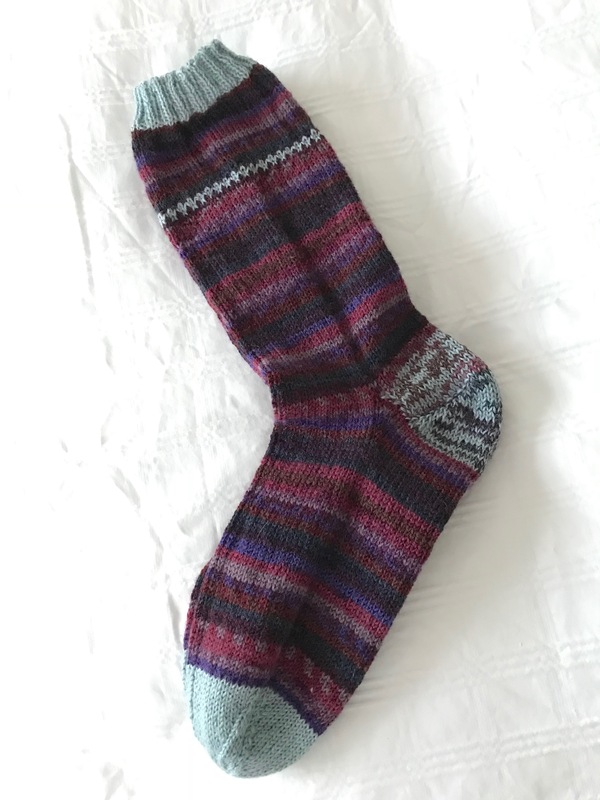 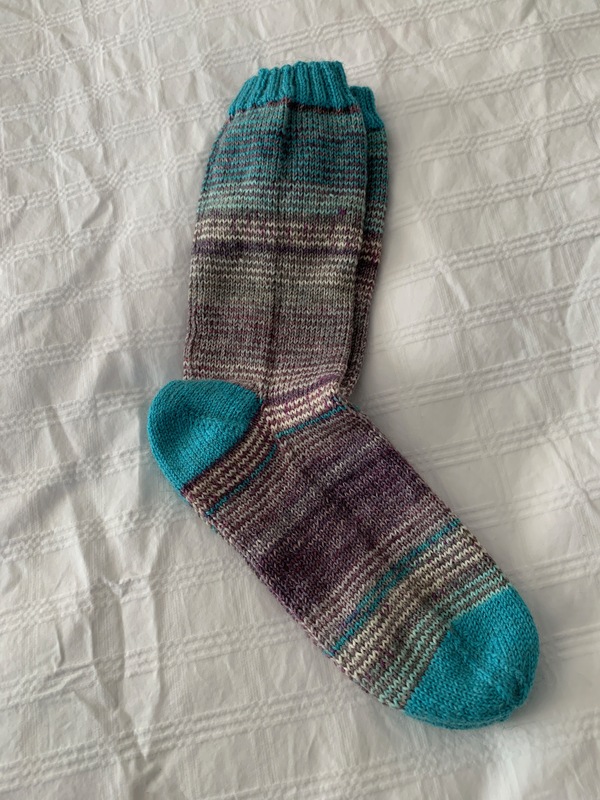 It worked out well – I was able to extend the patterned yarn past the middle of the foot. 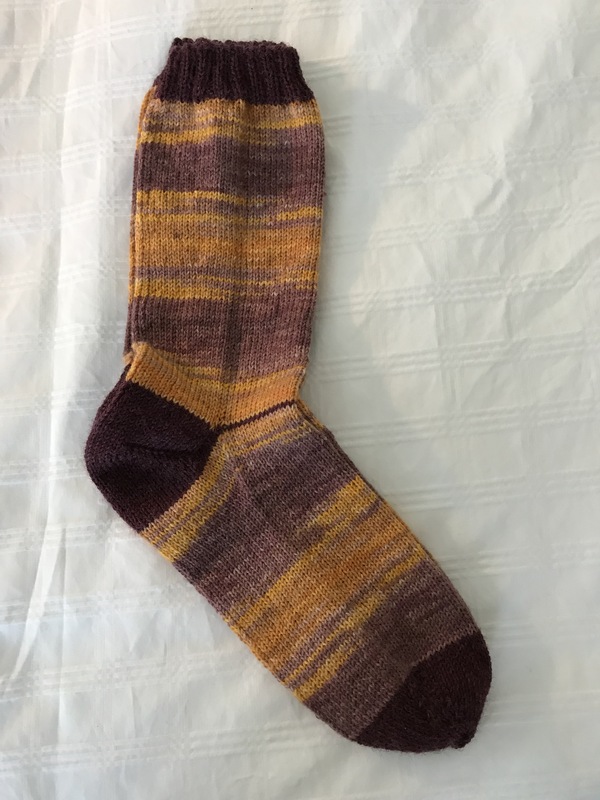 And now on to the next pair.